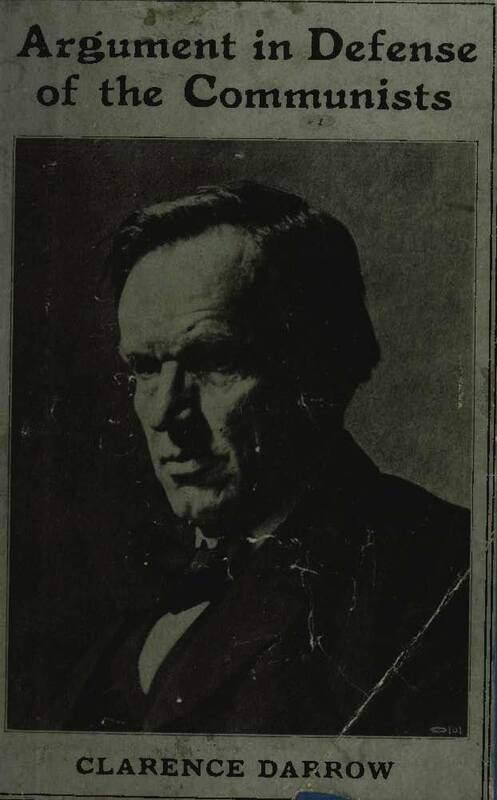 Cover of pamphlet containing Clarence Darrow's argument to the jury in defense of William Bross Lloyd and nineteen others who were charged with violating a recently passed Illinois statute which made it unlawful to advocate the reformation or overthrow by violence or other unlawful means of the representative form of government secured to citizens of the United States and the states. Darrow participated in the appeal before the Supreme Court of Illinois. Their convictions were upheld in People v. Lloyd, 304 Ill. 23, 136 N.E. 505 (1922).